**Requires 2 ''C'' Batteries - Not included. Keep any of the young adventurous wizards in your company, Muggle or magical, safe on Halloween with this officially licensed Harry Potter lantern. It's a sure fire way to shine a little bit of light even on the darkest of paths that your kiddo may choose to journey down this year. It really lights up the night (with the magic of C batteries)! And with the Hogwarts logo shining through the front of the lantern you can be sure that any Death Eater or any other type of evil force Voldemort may send will run back to Azkaban with their tails between their legs! They wouldn't want to take the chance of having the Famous Potter hot on their trail. 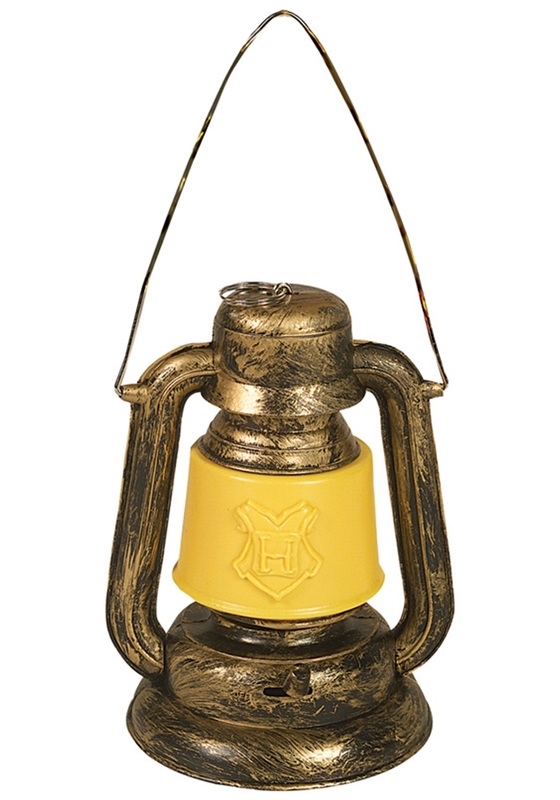 So this year, don't just stop once you have the perfect wand, broom, and scarf, this Harry Potter Lantern is a must-have accessory for anyone looking to make this Halloween a little more magical.